Can we see the signs of potential violence before it erupts? CrisisGo believes that being observant and reporting safety risks is key for crisis prevention. When you see something, you need to say something. This applies to any kind of risk, ranging from a mechanical issue to a classmate who exhibits violent behavior. CrisisGo’s communication features make it easier to help prevent violence before it happens. We have a special guest post by safety expert, Joseph Pangaro. His article discusses the important of seeing warning signs, reporting what you see, and investigating and addressing potential safety risks. 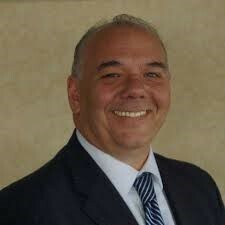 Joseph Pangaro is a veteran law enforcement officer with 27 years of experience, and he is currently the Director of School Security, Manalapan-Englishtown Regional Schools, NJ and the Owner and CEO of Pangaro Training and Management. Through his company, he provides a variety of safety trainings for companies, schools, and the law enforcement community. This article is intended to be a wake-up call to shake us from the complacency of seeing yet another event and saying, “Isn’t that terrible? This has to stop,” but doing nothing more than that. Doing more means that we need to address this reality: There are signs of potential violence we can see, and we have to be willing to take action when these signs are observed. This is the hard part—we have to change how we deal with “the potentially violent person.” This is a problem because it strikes at the root of who we are as Americans. When someone has committed a crime, we try to rehabilitate the person; we don’t just throw them away. It’s much harder for us to act when we have a person who has not committed a crime or a seriously violent act but has given indications they may be dangerous. This person is often handled with kid gloves, so to speak, because they are considered “innocent,” and therefore, they should not be sanctioned in any way. 1. If a person has created a “Hit List” or “Kill List,” it must be taken very seriously and investigated properly. The person creating the list should be required to get psychological counseling and be removed, expelled, or otherwise separated from the potential pool of victims until they are cleared by a psychologist. 2. If a person makes comments about anger, violence, and killing or shows a preoccupation with weapons, they should be suspended and investigated. And if it is determined that they did make the comments, they should have to undergo psychological counseling and be removed from the potential pool of victims. 3. If we identify a person at school or at work who has a negative personality trait that portends danger (e.g., making comments about violence or harming others), they should be investigated as described. 4. If we learn of these types of concerns about a person, we must fully and thoroughly investigate each concern to confirm it or refute it. If it is confirmed, then we follow the counseling approach in steps 1 and 2. 5. We must ensure that anyone assigned to investigate these types of situations is properly trained and understands the significance of “Kill Lists,” violent comments, and other writings. There are additional items we can identify, but these are the main concerns. At this time, many schools and workplaces don’t really do any of these things. We only take serious action after someone has acted out in a violent way. If we stay on this path, we will continue to go down a road of tragedy.